The SPJIMR Campus is spread over an expanse of 45 acres in the heart of Mumbai city, the commercial capital of India and a global financial hub. Mumbai is home to important financial institutions such as the Reserve Bank of India, Bombay Stock Exchange, National Stock Exchange, and SEBI. It also houses the corporate headquarters of several leading Indian companies and multinational corporations. Mumbai offers students and professionals limitless business opportunities for growth and development. Its high standard of living attracts people from across the country and abroad, making it a potpourri of diverse communities and cultures. 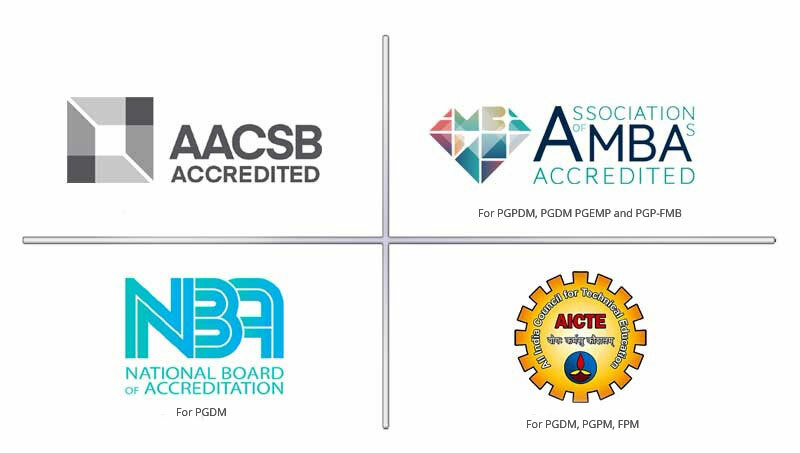 As a student of SPJIMR and by association with this vibrant and exciting city, you will imbibe a rich and unique social, cultural and educational experience. 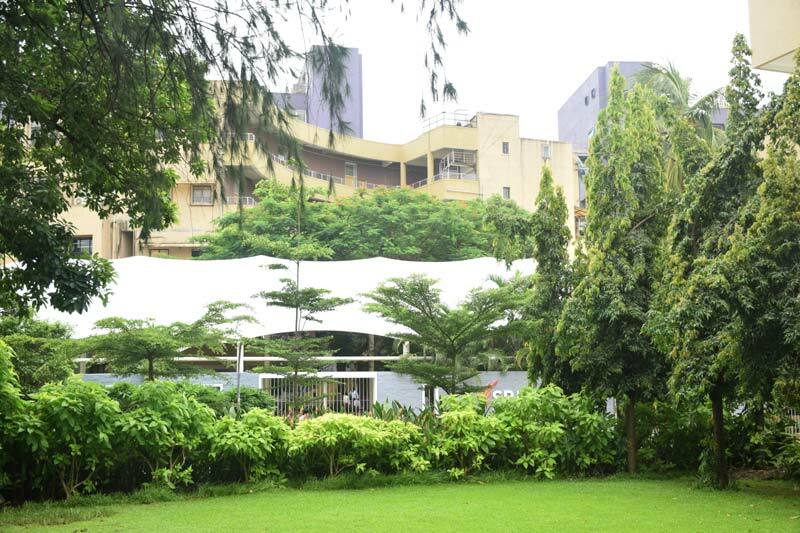 The campus comprises of residential facilities, cafeterias, classrooms and learning centres including a library, IT Centre, Amphitheatre and 24x7 wireless connection. The classrooms are leveled to facilitate discussions, and customised to the needs and requirements of various programmes. The sports and entertainment facilities include an Open Air Theatre, playing fields and jogging tracks. The campus also boasts of a lake, Cultural Center, Botanical Garden, YogKutir and Institute of Holistic Health Sciences. SPJIMR in the heart of Mumbai sits in a campus that also hosts two engineering colleges, an arts, science & commerce college, a school, faculty and student housing, a temple, a yoga centre, an amphitheatre, an adventure centre and open grounds. 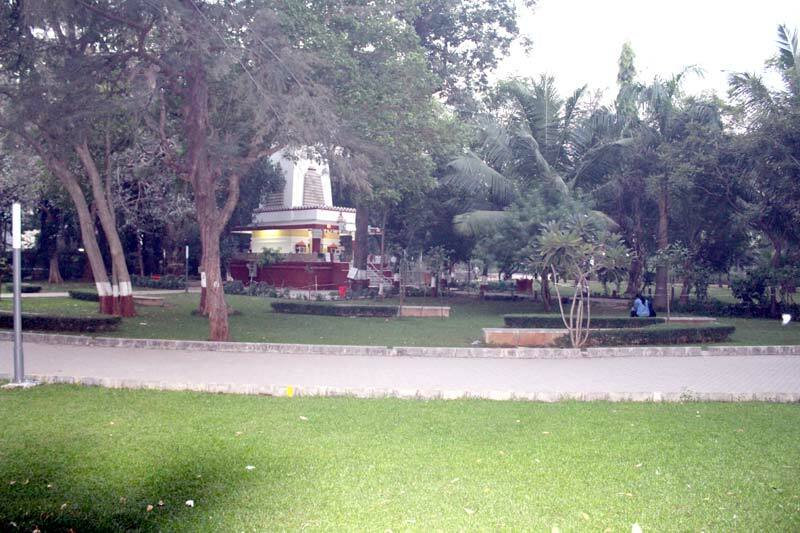 The campus is seen as rustic, unspoilt and natural, and wears the charm of the unvarnished. The Bharatiya Vidya Bhavan's cultural centre has events often lined up in the SPJIMR auditorium, attracting a wide range of Mumbaikars who love theatre, music and a variety of films. 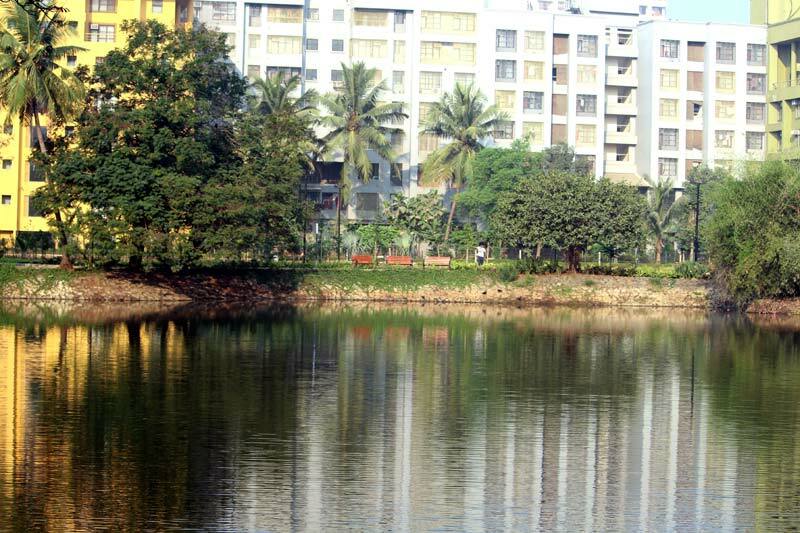 This has turned SPJIMR into a cultural hub in Andheri, the suburb where the campus is located. The events and the audience they attract lend their own charm in the evenings, when most of the events are held. The sight of old timers sipping coffee during the late evening break, standing not far from management students working their cases, projects and events, frames the unhurried with the hurried; the modern with the older times. 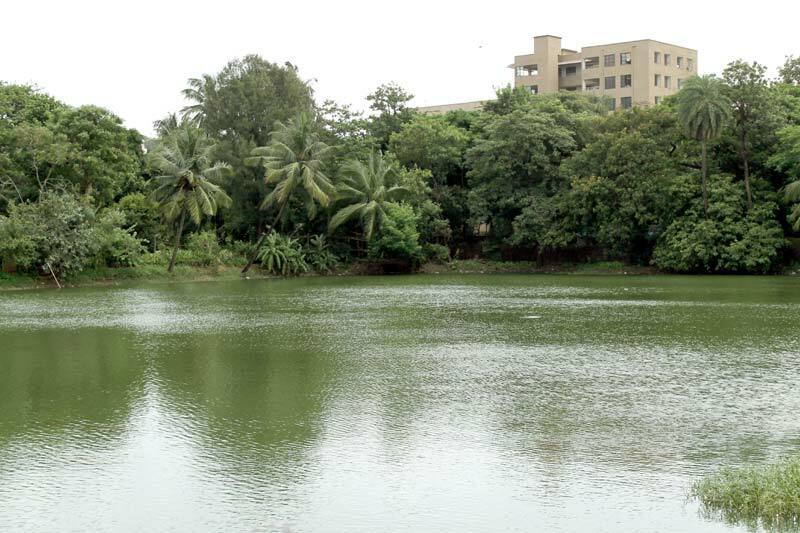 In the midst of all this is a lake, with a well crafted front end that becomes the stage for many student events through the year, particularly jam sessions and music nights. The campus has 250 species of plants and 72 species of birds, making it a naturalist's delight. The shrubs and greenery also conceal four species of snakes. One of the key contributors to an effective and intensive learning experience is living on campus. SPJIMR is equipped with excellent residential facilities that strengthen the feeling of belonging and provide students the necessary impetus to a more cohesive learning environment. 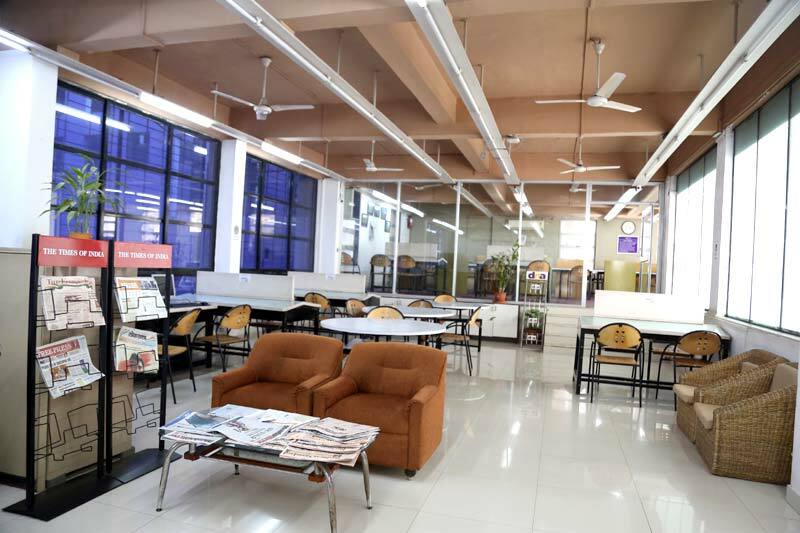 Besides easy access to library and computer facilities, the recently upgraded hostel facilities include amenities like television, table-tennis tables, water filters and coolers, coffee vending machines as well as washing machines. Moreover, all rooms are networked and students are connected through a 24-hour Internet facility, SPINX, the Institute Intranet and messaging applications. The SPJIMR students find themselves a part of a bustling, vibrant and virtual community that extends participatory and interactive learning beyond the classroom. Besides encouraging a better peer group interaction for group study and non-classroom activities, it also promotes an informal atmosphere for student-faculty interaction. The library with its vast collection of management literature and electronic resources is a key resource of the Institute. The fully computerised library is equipped with a variety of learning media. It has a collection of over 23,500 books including the most recent publications in a variety of areas covering, but not limited to, Business, Economics and Management. The SPJIMR library subscribes to a number of periodicals which include scholarly international as well as national journals and business magazines. It has a rich digital collection of over 8,000 CD-ROMs and DVDs which include audio/video material on the core subjects. The library also maintains an archive of various in-house events, lectures and programmes. It also subscribes to a host of electronic resources through which scholarly & industry relevant information can be accessed. To provide wider access and information search, SPJIMR has an arrangement with other libraries including the British Council Library, American Resource Center and World Trade Centre Library. 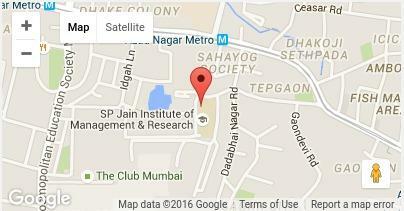 With its rich collection and services, the library is known to be among the best equipped in Mumbai. It has a comfortable reading room and reading lounge and has seamless Wi-Fi Internet connectivity.